"Berlin, 12 January 2030 – The crisis worsens. The Chancellor reaches for the telephone. He instructs his anteroom to put through a call to Germany's most important ally in order to discuss the situation and determine a further course of action." With whom would the chancellor speak? With the American, the French, or maybe even the Russian president? Or will the Chancellor only exercise representative functions while the real responsibility and decision-making authority lies with the President of the United Regions of Europe? This volume invites policy makers and politicians to use their imagination, to look beyond current events and take a long-term view on possible developments. Such projections, the author argues, lead to interesting conclusions for strategic planning. 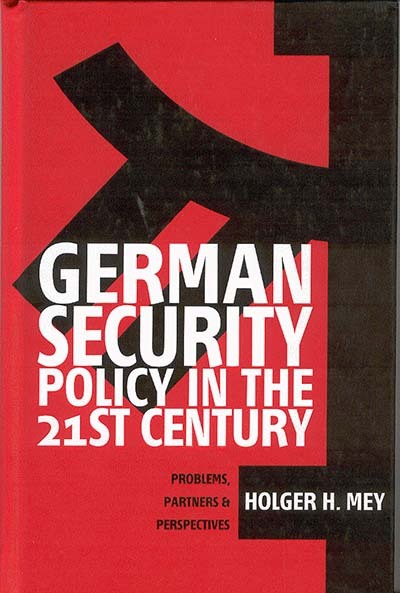 Holger Mey is Independent Political Advisor and Director of the Institute for Strategic Analysis, Bonn, Germany. Which Parameters Will Influence the Future Security Environment? Chapter 4. Political Actors and Critical Regions: What Lies Ahead for Germany?